are you struggling to find a reliable, professional cleaning company? Our daily contract cleaning services deliver on all aspects, from the simplest tasks to the more specialist services and our reliability, excellent service and attention to detail remain integral to our business. What do we offer in a daily contract clean? Our professional team of highly trained operatives ensures that we can offer a reliable, top quality service to all our clients, according to your individual requirements. We will clean and maintain all sizes of premises to the highest standards as specified in your tailored cleaning contract. When it comes to commercial properties, it is extremely important that they are kept clean and pristine, which is why the commercial contract cleaning services from Supreme Cleaning Services are so popular with those owning and working in commercial spaces. Our commercial contract cleaning services offer excellent value for money and are available throughout Kent, London and the South East, and tackle all number of essential cleaning tasks to ensure your commercial environment is pleasant to work in. It must be appealing to employees and customers alike and fully adhere to any cleanliness and health and safety standards. One of the most popular tasks Supreme Cleaning Services can carry out is carpet and upholstery cleaning. Carpets in shops, showrooms and other commercial spaces can get dirty very quickly, with mud, leaves and dust being trodden in by customers or food being dropped. 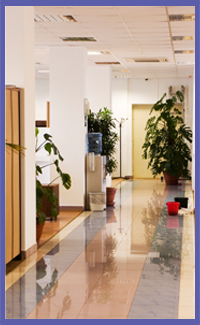 We can also carry out hard floor cleaning, where we will initiate a deep clean for complete grime removal. Our fully trained and reference-checked cleaning operatives will carry out a thorough clean of your flooring, carpets and upholstery to get them spotless. We are also able to perform general deep cleaning, and our operatives are often asked to carry out deep cleans of notoriously tricky to clean spaces such as kitchens and cloakrooms, leaving them immaculate every time. As well as office contract cleaning some of our happy customers have also included golf clubs, social clubs, leisure centres and schools, all of whom required a top quality, flexible, efficient service. Our contract cleaning services are completely tailored to each individual commercial property to ensure you get the exact service you require and an immaculate commercial venue every time. Not only will this give off the right impression to visitors and customers and show that you are a professional company, it will also significantly improve the working environment of your staff members. The cleanliness of a venue can have a profound psychological effect on the way we feel about a space, and after a professional cleaning experience, your commercial building can only be viewed more positively. If you are the owner of a commercial property in Bromley, Croydon, Dartford, Lewisham, Maidstone or anywhere in the South East and would like to take advantage of Supreme Cleaning Services’ efficient and flexible commercial cleaning service, please call us or use our online quote form today to find out more about our competitive rates and top quality service.